KoçSistem leads the IT services market in Turkey with its deep experience and know-how. 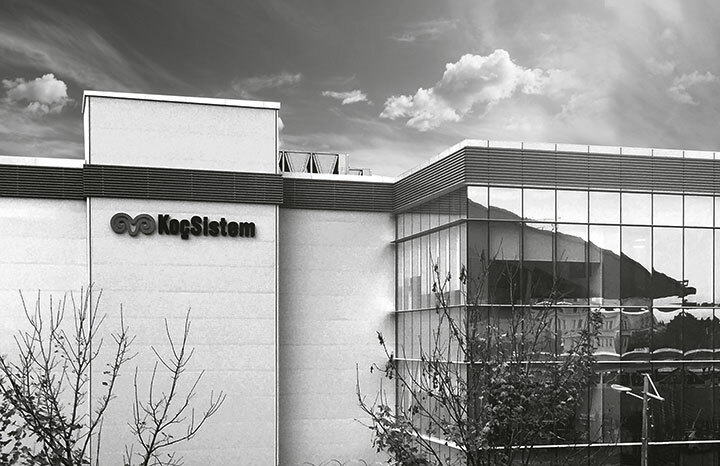 Celebrating its 70th anniversary in the Turkish IT sector in 2015, KoçSistem posted 21% revenue growth during the year by expanding its portfolio of technology-centered business solutions and strategic partnerships. KoçSistem is the information technology service market leader in Turkey according to IDC reports in 2014. The Company capitalizes on its 70 years of know-how to meet the IT demands of clients from various sectors. KoçSistem has also implemented numerous projects and initiatives related to current technology trends, including the internet of things (IoT), big data analytics, cloud computing, corporate mobility and smart solutions, all of which are set to play key roles in the digital transformation of enterprises. In 2015, KoçSistem was a sector standout with its various innovative projects that included "Global Voice and Video Infrastructure," which covers 4,500 users on four continents; "Smart Production Monitoring and Control," which is based on the IoT and helps monitor over 100 work stations in real time; "Fresh Tea Procurement Automation," which digitizes the purchase of fresh tea worth TL 867 million per annum; the new generation smart transportation solution "Electronic Ticketing Infrastructure"; and "Integrated IT Systems" which delivers high quality and uninterrupted electricity to 500 thousand households. KoçSistem started to deliver hosting and managed service solutions to clients at the "Istanbul One" data center. The Company has also maintained its leadership in corporate cloud computing services and built upon its investments in R&D. According to the Ministry of Industry's 2014 R&D Centers Performance Index, the Company operates one of the top three R&D centers in the sector. In addition, the Company has transferred the know-how it has accumulated in Turkey to Azerbaijan by establishing an R&D Center at Caucasus University. KoçSistem's R&D operations also attracted international attention: It was selected to the Board of Directors of EUREKA ITEA 3, which was set up by the European Union to develop new technologies and initiatives. As such, the Company can influence R&D projects that will shape Europe's future. In 2016, KoçSistem plans to continue its digital transformation parallel to the current IT trends, outperform the sector average in its current business lines, and invest in new business lines in order to formulate the competencies and business models of the future.